OMG! Gotta have this before Christmas! 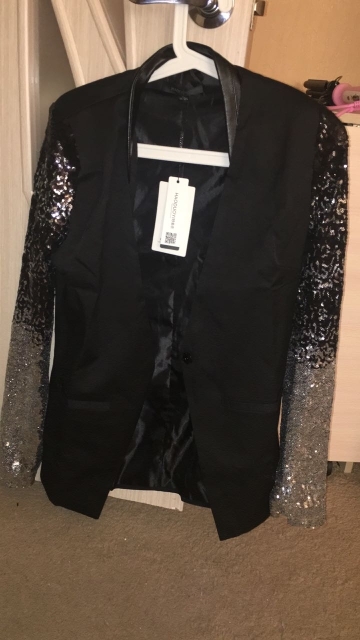 Dazzle them with delight in this Women's Trendy Slim Fit Jacket With Half Sequined Sparkly Sleeves is sure to make all the girls at the party green with envy. Very nice. Good material. Recommended. It's perfect!! I'm going to move the snap over so it will fit a little more snug but that's just my personal preference.